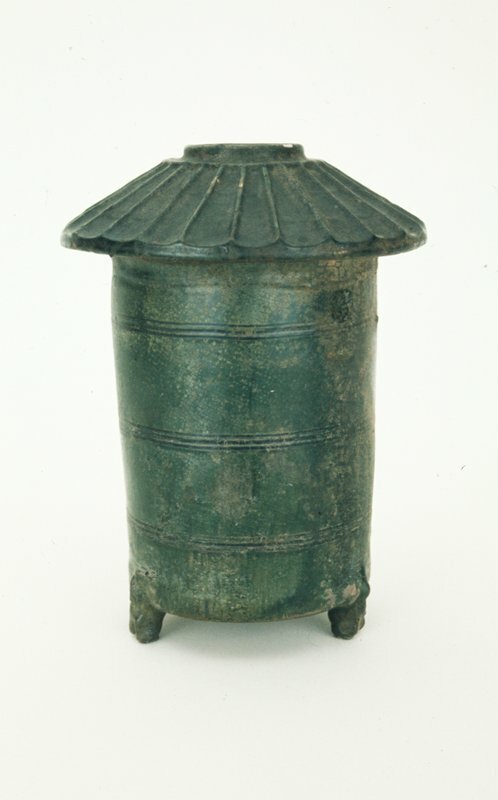 This silo-like vessel seems to be a partial representation of actual granaries constructed during Han times. The mouth at the top of the vessel and the molded bear feet suggest that this basic form has been adapted to more practical use as a ritual container for the tomb. It most likely was used to store grain for the afterlife.